· Savenor’s Market (160 Charles St., www.savenorsmarket.com): If it is good enough for Julia Child, it is good enough for the rest of us! Since 1939, Savor’s has been the go-to meat purveyor at both its Cambridge and Boston locations. The Beacon Hill branch is conveniently located near the Charles/MGH Red Line station and features everything from rotisserie chickens to cuts of game. Pop in for a sandwich and take it to the nearby Esplanade for a picnic by the Charles River! · Louisburg Square/Acorn Street: It’s hard to find a postcard of Boston that doesn’t include one of these two iconic areas of Beacon Hill. Acorn Street is known as the most photographed street in America, and we can see why! Cobblestones, perfectly billowing American flags, and gorgeous townhomes make these enclaves well worth your time for a leisurely stroll en route to the nearby start of the Freedom Trail. · The Paramount (44 Charles Street, www.paramountboston.com): The Paramount is a long-standing favorite for its cafeteria-style ordering and strict order to not take a table until you get your food (don’t worry: there is somehow always one waiting!). Delicious burgers, hearty breakfasts, and cozy dinners make the Paramount a day-long favorite. 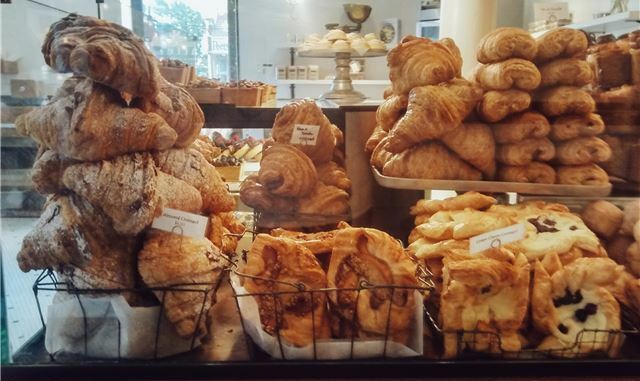 · Tatte Bakery & Café (70 Charles Street, www.tattebakery.com): Panera might now be an investor, but Tatte has stuck to its Boston roots. The quaint venue on Charles Street is a perfect spot to relax and recharge with a bakery treat and cup of delicious coffee. Plan for a visit on a sunny day and get a spot on the cozy patio out front.